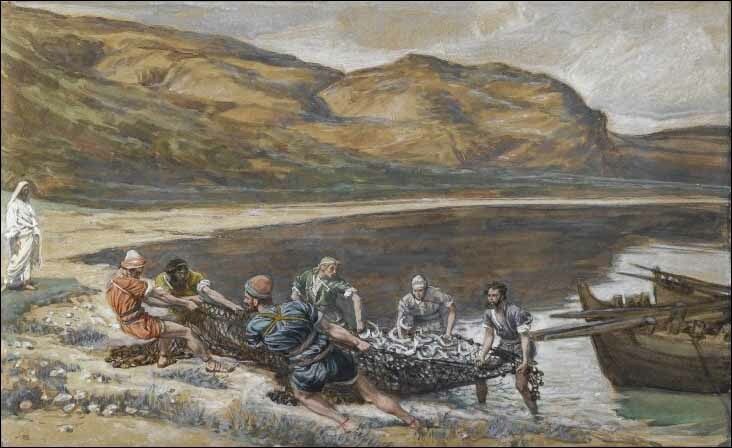 8 The other disciples followed in the boat, towing the net full of fish, for they were not far from shore, about a hundred yards. 9 When they landed, they saw a fire of burning coals there with fish on it, and some bread. 10 Jesus said to them, "Bring some of the fish you have just caught." 11 Simon Peter climbed aboard and dragged the net ashore. It was full of large fish, 153, but even with so many the net was not torn.